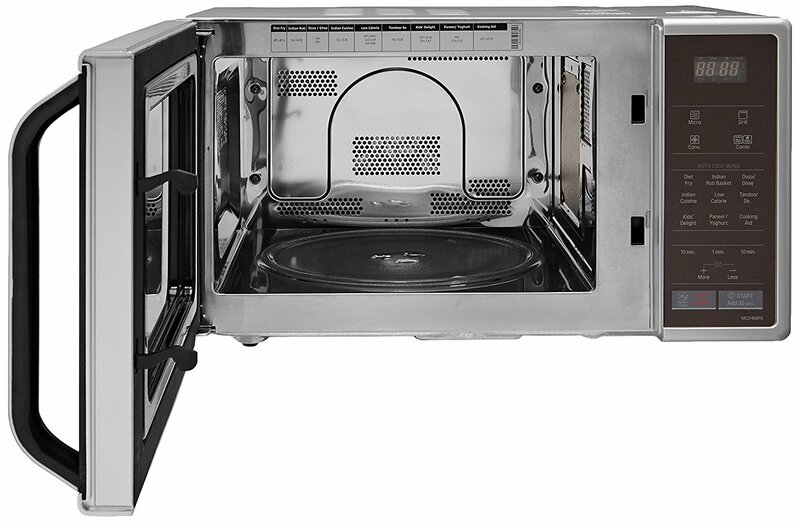 LG 21 L Convection Microwave Oven (MC2145BPG, Silver Dancing Floral) comes with cooking modes that are good to prepare delicious meals. 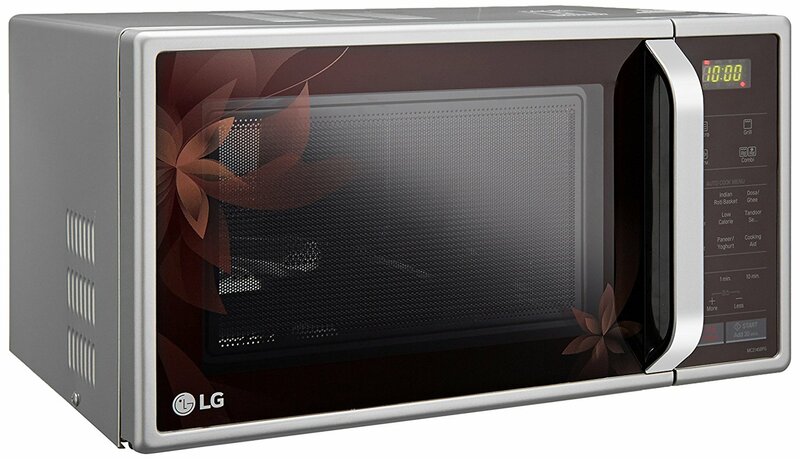 This 21 liters LG microwave requires very less space to be installed in your kitchen. Further, it comes with various auto cook menus, just select the preferred menu, and press the corresponding button on the auto cook menu to enjoy delicious and favorite meals. 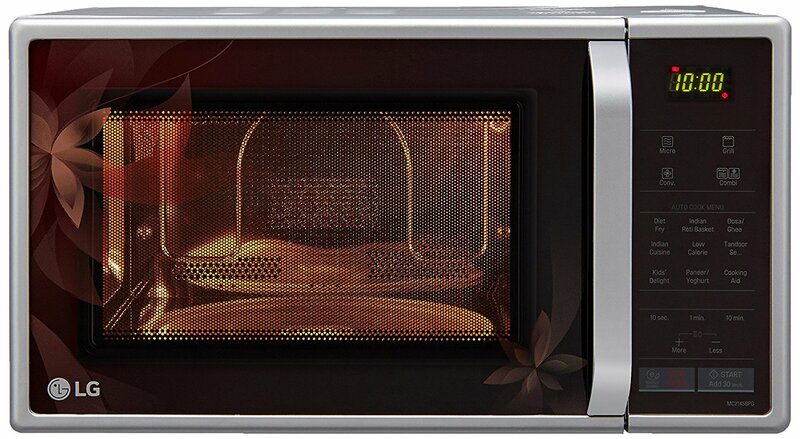 Of course, it lets you prepare your favorite Indian dishes at the touch of a button. 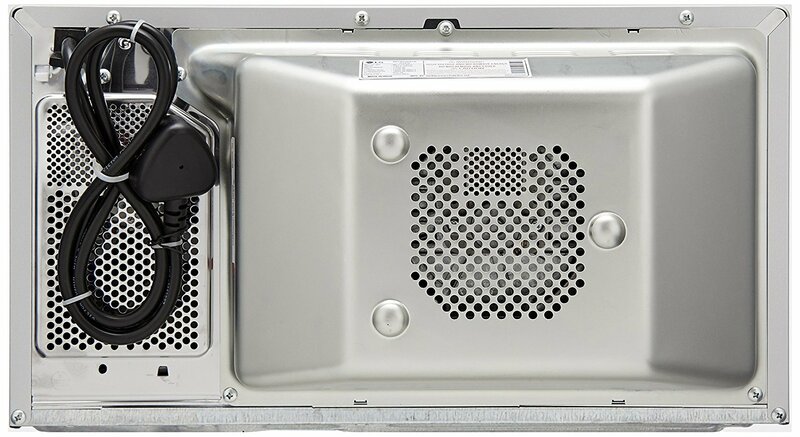 The oven cavity is made of high grade stainless steel material that is proven to provide good reflection and smoothness to deliver evenly cooked foods. 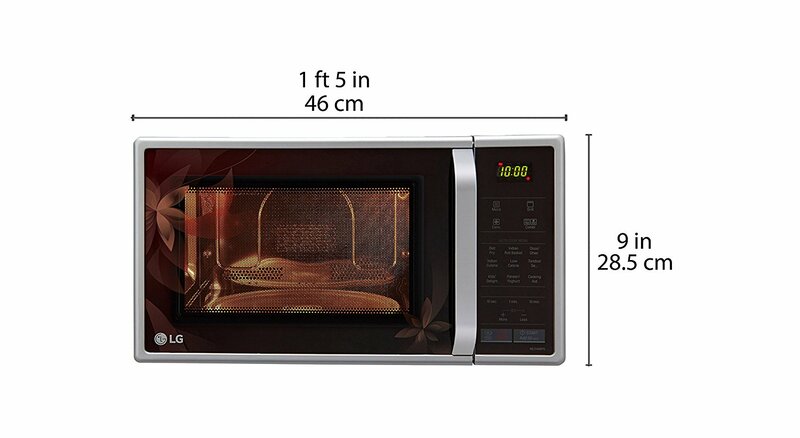 This LG convection microwave also comes with a multi cook tawa that has specially coated non-stick tray for dishes that need added browning and bottom heating. The multi-function cooking consists of 4 different cooking modes to deliver juicy and delicious foods all the time. The four cooking modes are convection, grill, solo and combination. 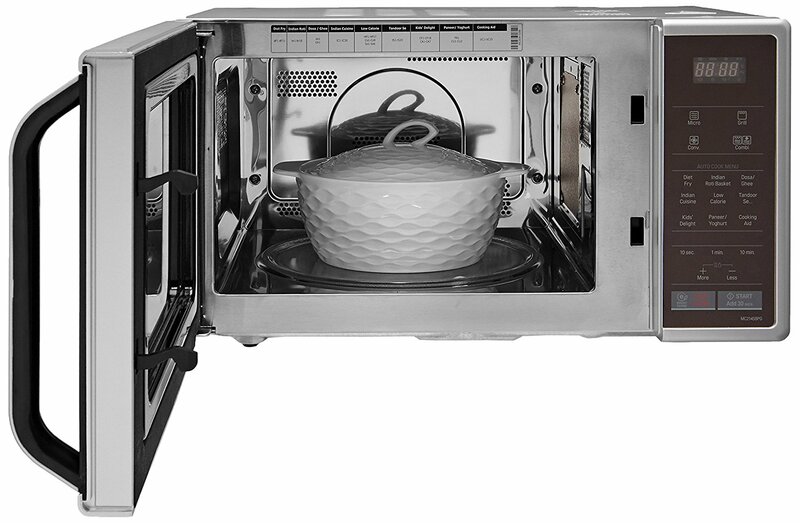 The unit features a fan at back to circulate the temperature to every corner of the microwave oven to cook foods evenly.